Product prices and availability are accurate as of 2019-04-22 23:27:30 UTC and are subject to change. Any price and availability information displayed on http://www.amazon.com/ at the time of purchase will apply to the purchase of this product. 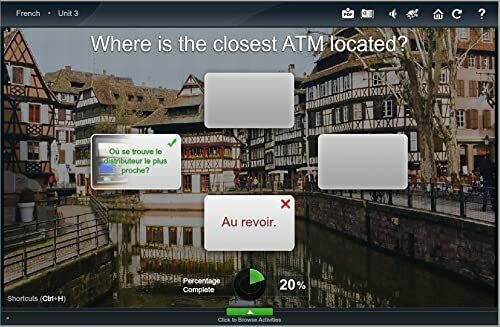 Transparent Language French Essentials provides a fun, engaging, and interactive environment where you can master the vocabulary and pronunciation skills needed to communicate in French. Transparent Language’s Declarative First approach provides a proven path to initial language acquisition. Each lesson incorporates the key elements necessary to successfully learn French including useful words and phrases, pronunciation practice, and grammar. 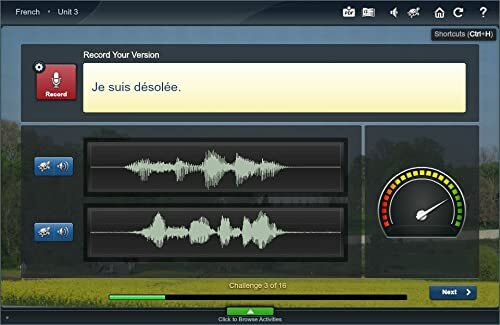 Transparent Language French Essentials will help you prepare for typical everyday conversations. Each unit contains several lessons made up of a series of engaging and increasingly challenging activities that enable you to understand and convey the basics for survival and to participate in practical communication. 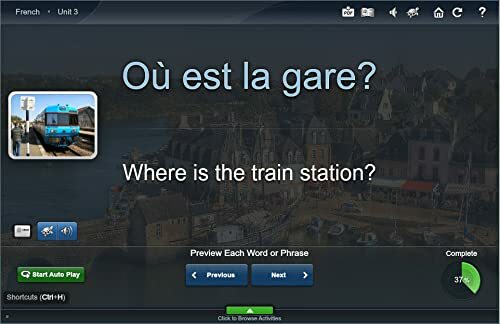 French Essentials includes supplemental vocabulary and grammar lessons, as well as the language history and background. Transparent Language French Essentials is ideal for beginners and advanced beginners. The clear learning path and structure successfully guides new users through the learning process. At the same time, more experienced learners have the flexibility to focus on the exercises that best suit their needs and goals. Upon completion, learners will be able to understand and convey the basics for survival and to participate in typical, everyday communication. Prepare for practical, everyday conversations in a foreign language. Cover common situations, including getting around the city, eating out, shopping, getting to know people, dealing with emergencies, and more. Work through engaging and increasingly challenging activities that cover all four language skills: reading, writing, listening, and speaking. Practice on-the-go with MP3 audio flash cards. French Essentials will help you prepare for typical everyday conversations in French. Each unit contains several lessons made up of a series of engaging and increasingly challenging activities that enable you to understand and convey the basics for survival and to participate in practical communication. Topics include: Grammar, Alphabet, and More! 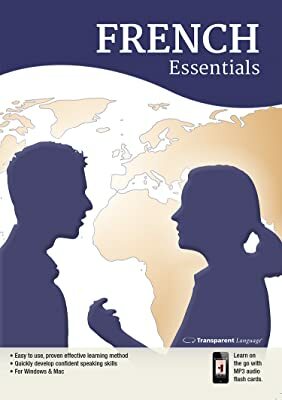 Transparent Language Essentials programs include a variety of reference tools and content that are useful and appropriate for the language being taught. Complete the beginner-level course with 33+ lessons and over 40 hours of learning material. Learn over 1,000 useful supplemental words and phrases. Watch the grammar video lessons and study the comprehensive grammar references. Review the language history and background.